Drea D’Nur – The Nur EP – Be Fearless. Be Flagrant. New music release entitled “The Nur EP” and accompanying new visual release of the lead single “Break Me Down,” by Drea D’Nur is FINALLY here! The album is available on iTunes, Amazon and Google Play and on her official website www.OfficialDreaDnur.com! ‘Don’t Know Why’ was released as a lead single from The Nur EP. Enjoy FREE DOWNLOAD by clicking BUY button. 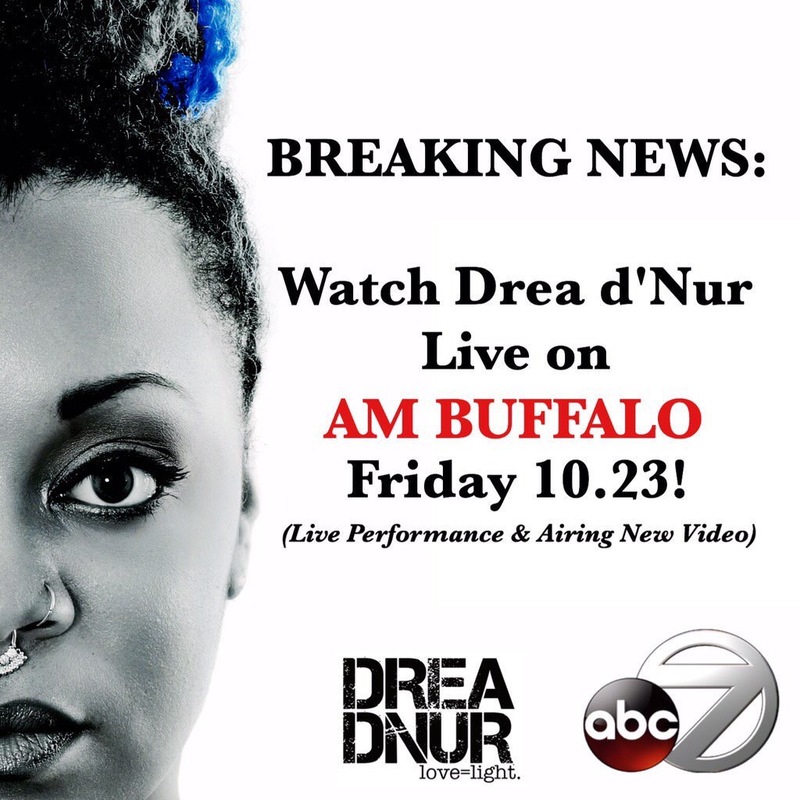 Please watch Drea D’Nur Live on AM Buffalo WKBW CHANNEL 7 ABC!